Steve Mathews knew when he was five years old that he wanted to be an artist, and never wavered from that. He started as an illustrator, and wandered into ceramics, drawing, painting, and other things. He met his wife, Jan, while a student at Montana State University. He took his first job as an illustrator with Cowles Publishing, but after four years sitting behind a drawing table, he moved on to teaching. He says his love of teaching is about his love of art, and both are equal. He’s taught at the high school, community college, and college level. 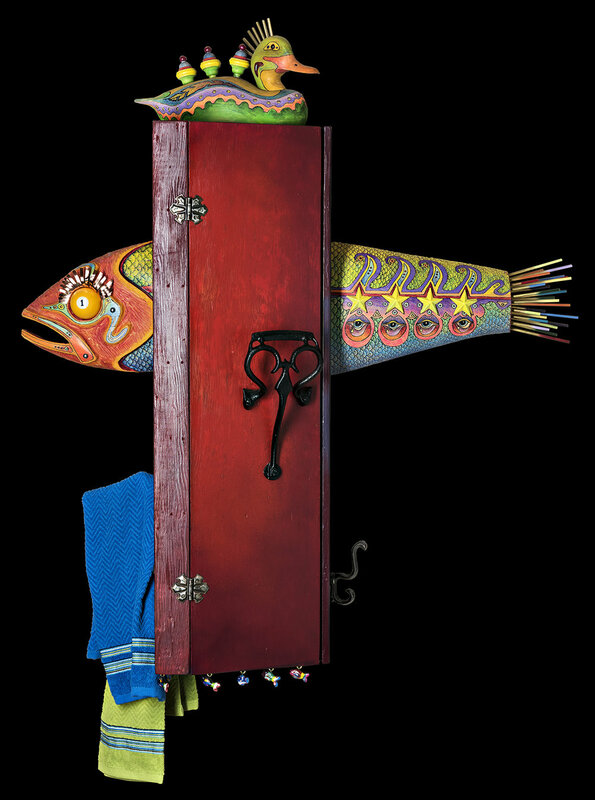 If you teach high school art, you’d better be a master of all things creative, so Mathews got his master’s from Lewis and Clark, and doctorate from Oregon State. After many years of vacationing in the area, Steve and Jan retired to Sisters 18 years ago, and built their life home in Tollgate. been volunteering in the art department of Sisters High School for 16 years. 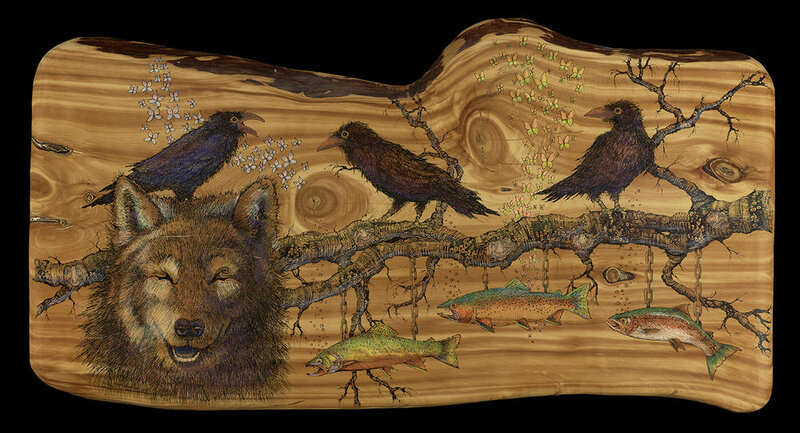 He’s known for his whimsical creatures (human and other) rendered on wood slabs with fine-line markers and colored pencil. • Turn right at "T" onto Lariat. • Follow for 1/2 mile. • Turn left at Lasso/Lariat intersection, following Lariat to first house on the left.